OPEN HOUSE January 26th 9:30am to 1:30pm! Join us at this OPEN HOUSE Saturday January 26th from 9:30am to 1:30pm to view this beautifully designed and decorated 1,890 sqft home (LOWEST price per sqft in the entire neighborhood!) in the 55+ Active Adult Community Heritage at Cadence. Highly sought after sold out attached single family home community, active adult 55+, 2 bed plus den 1890 ft² 2 car garage, open concept, custom paint, 10' ceilings, home automated system, builder warranty, upgraded flooring and just steps away from the clubhouse! OPEN HOUSE Sunday the 13th 11 am to 2 pm | Remodeled Single Family Home | $317,500 | Pool & Spa | 5 Bed | 3 Bath |2,194 sqft. Join us at another Adams Team Open House this Sunday from 11 am to 2 pm for a tour of this beautiful 5 Bed, 3 bath home. OPEN HOUSE this Thursday the 10th, Saturday the 12th and Sunday the 13th from 12pm to 3pm in Green Valley! Call for Address, Price, Additional Photos and Details! 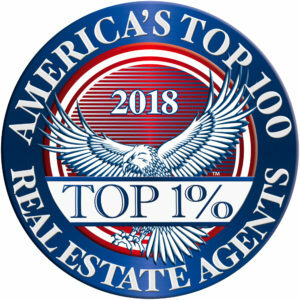 We were blessed to have been able to help our clients close 130 transactions in 2018! THANK YOU to all of our clients for your business and continued support! If you are looking to buy or sell a home in the Las Vegas Valley in 2019, we would love the opportunity to earn your business. Please contact The Adams Team at Rothwell Gornt Companies today!